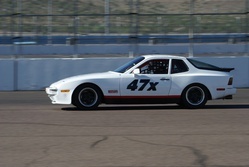 This is my 1986 Porsche 944, I race in the NASA 944 Spec Division. It conforms to the 944 Spec rules as outlined in NASA. 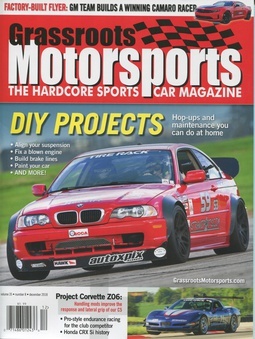 The car is sponsored maintained by German Auto Service in Phoenix, AZ. Associate sponsors are Desert Horizon Electric and my Grandfather. Dec 17, 2008 12:28 p.m.
Austin, Cool to see your here! Nice Job running the 3hr enduro Solo! 2nd place in class too. Jul 2, 2009 1:54 p.m.